Just because I love alliteration . 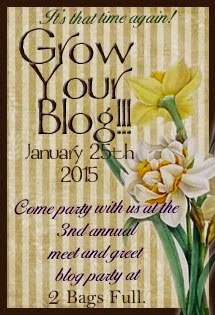 . .
in my "Grow Your Blog" giveaway. The prize is all packed up in a padded envelope and ready to mail Monday morning. Giveaway ends at midnight Valentine's Day! Go here to comment for your chance to win! First, the next 12th birthday in my family falls to Harrison. He loves Legos and superheroes -- so this "Bit o' Color" quilt made me think of him. The back story is on this post. I found this kit for "Bit 'o Color" at NaLa's after-Christmas sale. I love the spiral-striped binding fabric from Ruth's Stitchery. Should have bought the rest of the bolt! There are two new "IBM babies" on my DH's team recently. The quilt tops have been finished for months, but I've been having trouble with my long-arm machine, so the tops weren't quilted until this week. I can't believe I never showed this Shoo-Fly last summer, when that was the "Block a Day" design! The fabrics are from my precious Lizzie House collection. I quilted it on my Juki, and bound it in pink "Pearl Bracelets," since it is for a baby girl. Here is the finished Scrap Crazy quilt. Details here, and thank you Cathy for helping me find just the right "Grunge" colors for the binding. My "600 Posts" giveaway will be announced Monday. I love your Scrap Crazy quilt. 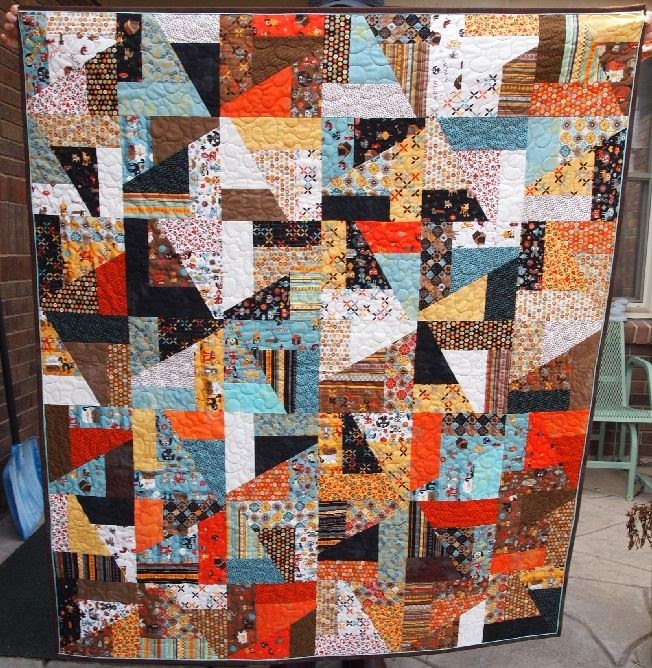 That scrap crazy quilt is fabulous! I enjoyed reading your blog!! All the quilts look great! 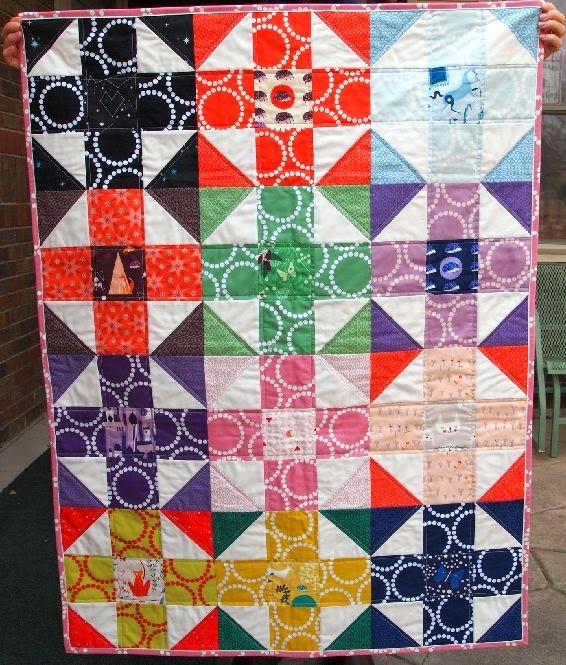 The Scrap Quilt is so cool! I'll bet the parents to be are very happy with their quilts. oh! 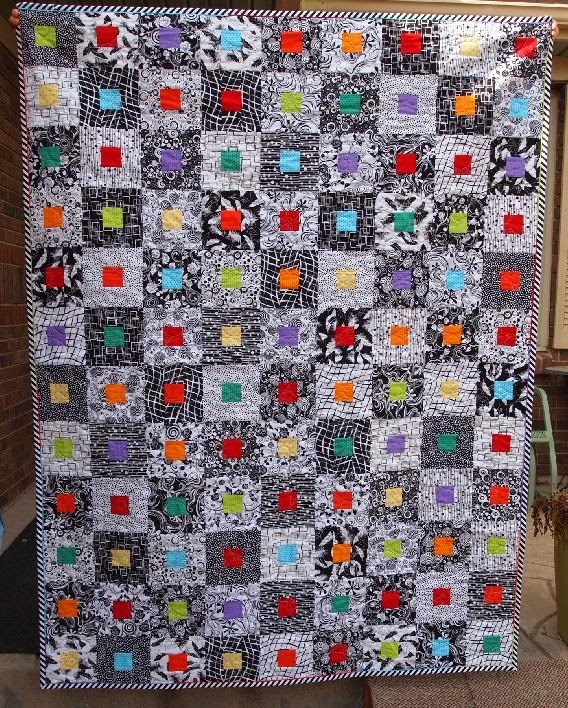 Do you have a pattern for the blocks on the Shoo-Fly quilt? 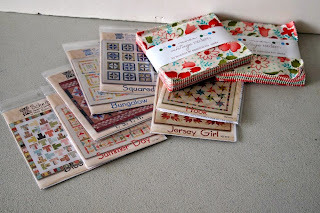 I have a stack of Lizzy House Guising I want to use and I can't resist plus designs!